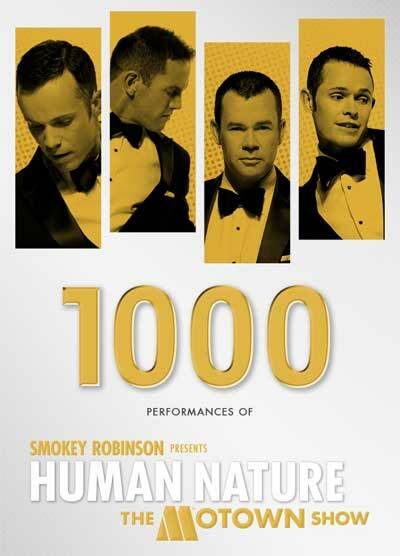 Human Nature and Smokey Robinson will celebrate the 1,000th performance of their hit Las Vegas show “Smokey Robinson Presents Human Nature: The Motown Show” in Las Vegas on stage at The Sands Showroom at The Venetian Las Vegas on April 12 at 7 p.m. Mentor, good friend, and show presenter Smokey Robinson will make a special appearance and perform with Human Nature marking their show achievement in true style. Calling Las Vegas home since 2009, Human Nature came to the performing mecca as the #1 vocal group in Australia and quickly became one of the Las Vegas Strip’s favorite shows. Performing to sold-out audiences regularly, the multi-platinum selling band has brought the classic Motown sound full circle to critical acclaim.